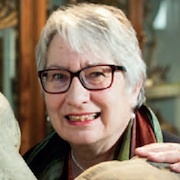 This week the spotlight is on Professor Uta Frith, Emeritus Professor of Cognitive Development at the Institute of Cognitive Neuroscience. I have been a research scientist with the Medical Research Council for my entire career, working at an MRC Unit affiliated to UCL. My main aims have been to find out what goes wrong in the development of the mind and the brain to result in disorders such as dyslexia and autism. The research involved designing and carrying out lots of experimental behavioural tests that attempted to tap specific cognitive processes. I did most of my early experimental work in schools with very simple materials, such as paper and pencil, pictures and puppets. But then I realised that dyslexic and autistic children grow up to become dyslexic and autistic adults. This meant they could come to the lab to be tested with more sophisticated methods. This was important at the beginning of neuroimaging, since the techniques were only used with adults who could give informed consent. Nowadays the techniques are considered safe for children, but the problem is that children don't tend to keep still for long enough in the scanner. I believe it is more important than anything to constantly invent tests that are incisive and theoretically pure and simple, as well as captivating, to unlock the targeted capacity of participants of different ages and abilities. I must be one of the oldest people in UCL as I have been around since 1968, the year I completed my PhD. Before this I trained as a clinical psychologist at the Institute of Psychiatry, now King's, but then a Postgraduate Institute of London University. I arrived there in 1965 from Germany where I was born and educated. Ever since I attended University in Saarbrücken, I had one big wish, and this was to be an eternal student and researcher. As soon as I had made up my mind to study psychology - which took a while - I wanted to be a full time researcher. Amazingly this wish was fulfilled. I am proud to have been one of the founder members of the Institute of Cognitive Neuroscience in 1998. It was deliberately located in Queen Square, in the middle of a then already thriving neuropsychology/neuroscience community. This community has grown larger and more important, and there is a now new Institute, the Sainsbury Wellcome Centre. The success of cognitive neuroscience is a true example of interdisciplinary collaboration between scientists who had previously been spread around UCL and met only rarely. There was exciting work revealing components of the mind and brain through seminal studies with neurological patients; there was computational neuroscience, working out how learning and memory might work; and there were other cognitive scientists who studied perception, attention, movements and language. People with these diverse interests attended the same seminars and discussed the same problems. I moved there with my own group to extend my work on autism and on dyslexia and was fortunate to be able to work with colleagues at the Wellcome Trust Centre for Neuroimaging, who were pioneers in the development of neuroimaging methods. These methods were a game changer for cognitive psychology. They made it possible to see structures and their connections in the living brain. These collaborations allowed me to aim higher and to do more than behavioural testing. I think I even got a glimmer of the future when we will at last understand how the mind and brain might be linked. I have been keen to promote women in science and to encourage them to break through the glass ceiling. With others I have recently started an informal network, UCLWomen, for women in Science and Engineering. We have lunch meetings with discussions on topics as they arise, and aim to provide mutual support. We also plan talks and visits of common interest. Album: I am a classical music addict and I have too many favourites to mention. One of them is Mozart's Magic Flute. My disc set is EMI Classics with Klemperer conducting and a stellar array of singers. Film: Top of my list might well be The Third Man. I still remember the mysterious posters from when I was a child in Germany, and everyone will know that haunting music. Novel: I have much enjoyed reading Barbara Pym novels, as comic masterpieces and as portraits of 'Excellent Women' of a few decades ago, but now a very distant time. Why does Karl Marx drink green tea? Because proper tea is theft. I would love to prepare a sumptuous meal for some marvellous scientists and artists of centuries past. I would ask each to bring some of their works and discuss them: butterflies by Maria Sibylla Merian, comets by Caroline Herschel, numbers by Ada Lovelace, flowers by Mary Delaney and mushrooms by Beatrix Potter. I make a year's supply of Seville marmalade every January. A secret forest valley with a stream tumbling down.